When you want to carve a new trail or you are interested in updating or maintaining an older one, there are several things you need to keep in mind before you find yourself making one (or more) of the common mistakes associated with trail building. It might seem like an unending list of things to do, but the extra effort put into the project in the beginning will save you a headache in the long run. 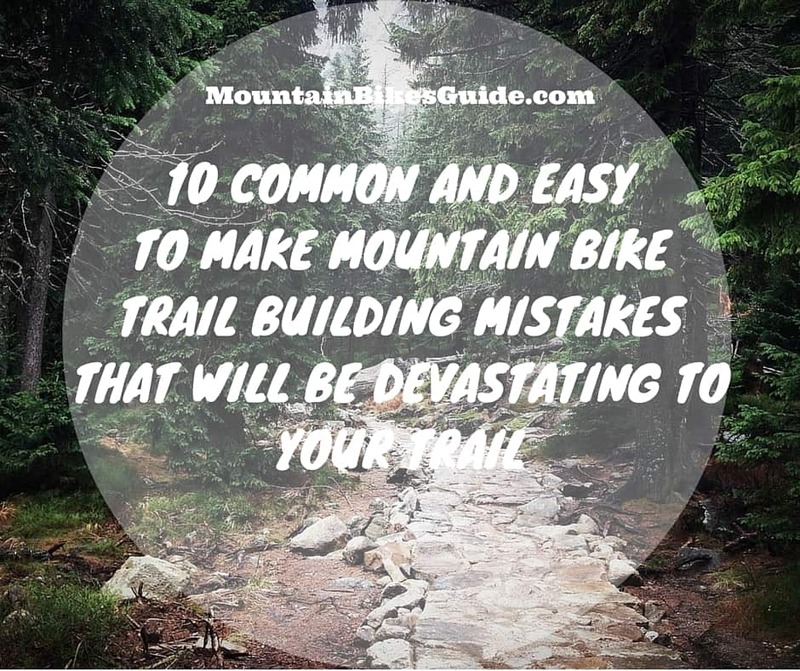 Before you start a trail building endeavour, have a look at the ten most common mountain bike trail building mistakes. This will not only prevent wasted time, but also keep you on the right track throughout the whole project. Getting permission from the landowner is the first step any mountain bike trail builder should do before making any steps to actually building a trail. There are certain legalities in place with areas that are private property or government owned and those looking to build in these areas will need permission from the direct owners or apply for a trail building permit. Mountain bike trail building laws vary from city to city, so before you start a project of this size and scale, do some research. Doing research will help to ensure that you do not spend several weeks working hard for nothing due to an angry land owner. That being said, when it comes time to approach a land owner, it is best to keep an open mind. You should also be prepared to negotiate and seek to find a compromise that suits all parties. Once you have permission from the appropriate people, only then should you make way to start a mountain bike trail. Every forest or mountain has a natural flow. When you are carving out a new trail, you need to find this flow. When the trail has been completed, riders should be able to ride the trail flawlessly and without any unexpected surprises. Building a trail that properly flows does not mean the trail has to be super easy. It simply means that the trail should be built in an intelligent way that provides riders an excellent ride that does not interrupt their riding rhythm or catch the riders off guard. No matter how experienced you are or how good you are at guessing a measurement with your eye, you should always take the time to measure grades properly. Trail builders should use a tool called a ‘clinometer’. This mountain bike trail specific tool will measure the grade of the trail accurately every single time. Building a mountain bike trail that has the proper grading will not only ensure that you are building a trail that will last, but also no amount of labor will be able to re-adjust or fix an unstable grade. When the sideslope of the trail is so steep (80% or more) which will cause the backslope to be higher than 6ft. When the trail design has forced you to build closely to a tree. In either case, you should compensate by building a ‘cribwall’. Proper support given to the trail from the cribwall will allow for your partial bench to remain stable and secure. It is important to remember that your tread should remain within 5-7% outslope. While it might seem like an option that will suit any budget, skimping on your building materials can be a messy mistake. Any bridges, ramps, or jumps that are poorly built can cause an accident. This is especially dangerous if you are out on the trail alone or when you are far away from help. Although it might seem tedious to drag all of your materials out to your trail site trail builders need to realize that the pros heavily outweigh the cons. Do not take any risks when it comes to building a safe and fun trail. Riding a trail is meant to be thrilling and fun and when you are on the trail you should not have to worry about a mishap caused by a faultily built trail. It is often seen in many trails that a few trail liners will be used along the way to keep the shape of the trail or to keep the trail safe. However, many mountain bike trail builders can almost have an obsession with using logs to line their trail. This can give your trail an over saturated look, but most importantly a heavily use of logs to line the trail will cause an increase in erosion due to the build-up of water. In the end, trails that are properly built and maintained will not have the need to be lined with logs. If you find that you might require some logs to line your trail, re-evaluate your building to see if there is a better solution. Building a new trail can be exciting and the desire to finish your trail will be seemingly overwhelming. While it might seem like building your trail is taking too long or there is still several weeks of work left before completion, take your time with each section, or line, in your trail. This will help you avoid mistakes and taking shortcuts which will be beneficial once your trail has been finished. It is important to resist the urges to move forward to the next section before the current one is fully finished. Do not continue on to a new line until it is the appropriate time and always make sure you fix past mistakes. Many times out on the trail the landscape can change. This can be caused by the weather, wildlife, other riders, or erosion. Whatever the reason, your trail needs to be properly maintained whenever something happens. West Virginia is a special area that is widely known for its steep, fall-line trails. Many trails in West Virginia can get away with the way that the trails have been built due to the soil, the location, and the type of users on the trail. In contrast, many fall-line trails will erode quickly and end up in bad shape. If you want your trail to last and your climbing turns to endure over time then you should build your trails with a sideslope no steeper than a 7-10% grade. Overall, you should build your turns that flow easily and effortlessly with the trail and landscape as well as being sustainable. Building steep fall-lines on your trail can be a dangerous mistake. Steep fall lines are targets for erosion and can cause accidents as well as destroy your trail over time. Steep fall lines will be heavy contributors to man-made and natural erosion and they have a short time of actual usability. When you are building a trail you should want to build it to last. In order to do so, it is ideal to remember the ‘Half Rule’. Whether it is the trail grade or the steepness, either should not exceed half of the trail grade (steepness of the hillside). Another trail building rule to keep in mind is the ’10 Percent Rule’. An overall trails grade should be at 10% or less. Although it might not seem like much, it is actually much more steeper than your think. Stay safe and build sustainable trails by remembering these two rules when you are building the trail you’ve imagined. In the end, make sure you are taking your time to properly build and create the trail of your dreams. Take the extra effort to make sure you have all the necessary approval, building materials, and make sure to purchase a clinometer to help you along the way. When you have the appropriate tools and knowledge you will be able to build a sustainable mountain biking trail. Overall, mountain bike trail building can be a fun, challenging project that can be used year after year. 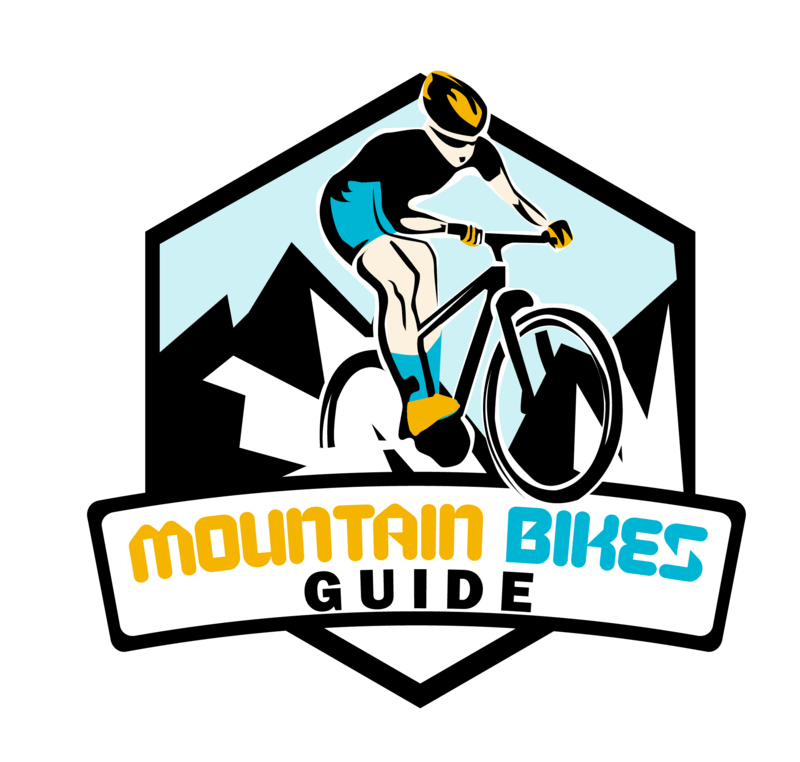 Following the proper techniques, using the correct tools, and building trails in the appropriate areas will ensure that your trail will not only be safe, but it will provide a worthwhile ride to mountain bikers from across the globe.